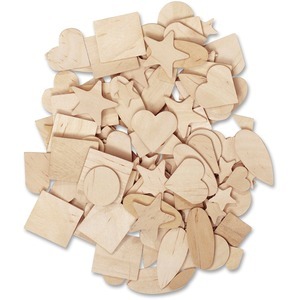 Assorted wood shapes range from 1/2" to 2" to enhance your arts and crafts projects with fun, creative designs. Durable natural wood stays strong through regular handling to prevent wasteful use. Wood shapes are perfect for creating decorations, posters, craft projects and more. Assorted collection includes stars, hearts, circles, squares and more.